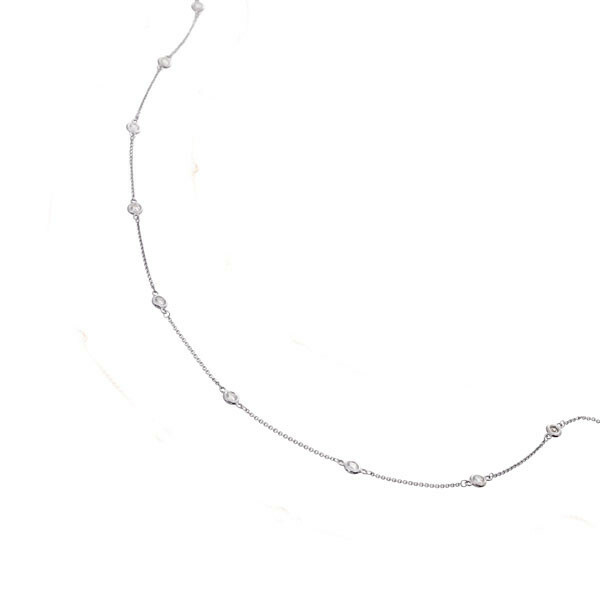 The beauty of this Diamonds by the Yard necklace is immeasurable! Crafted in 14kt white gold, the woman who wears the diamond station piece with bezel-set gems is due to receive a lot of compliments. The necklace will easily become your most-worn go-to piece of jewelry, suitable anywhere, any time.